We have lots of services that make your honeymoon, anniversary or vacation relaxing, recharging and rejuvenating. This is one of the many reasons why couples love Hanalei Day Spa! Whether you would like to receive a 50, 80 or 110 minute service, we can make your experience great. 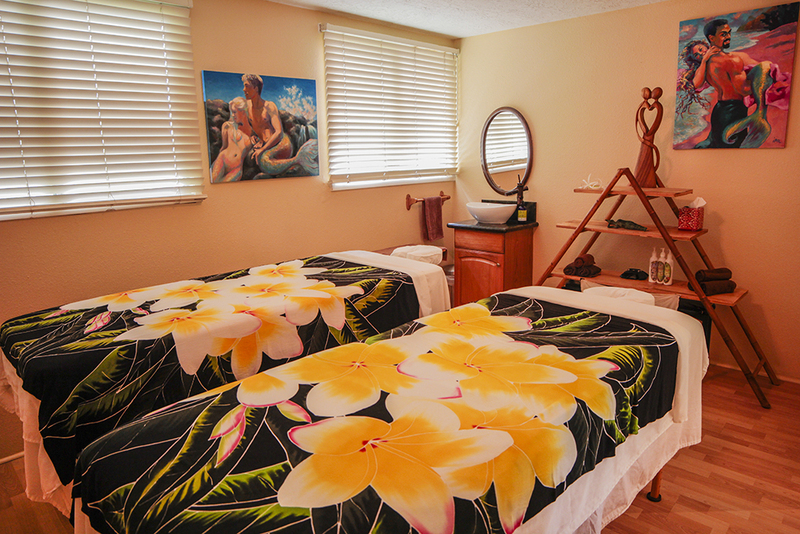 We start with our basic massage, which is a relaxing massage, then we customize your experience from there to include accompaniments such as; beach side, deep tissue Hawaiian Lomi Lomi massage and aromatherapy, to name a few of our most popular. One popular Kauai couples massage indulgence is The Royal Couple, it is a 110 min beach side Hawaiian Lomi Lomi massage using organic coconut oil, with a deep conditioning treatment for the hair and scalp using warm coconut oil; you can add on deep tissue massage to that as well for an additional charge. Our couples come back year after year and find consistent excellent service…. We love couples, in fact 95% of our guests are couples.